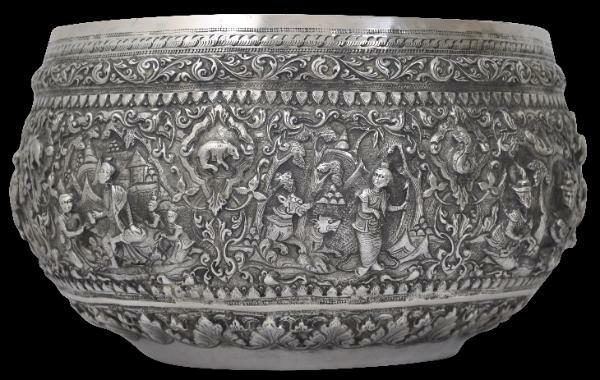 This silver bowl is repoussed with scenes from a Burmese legend. 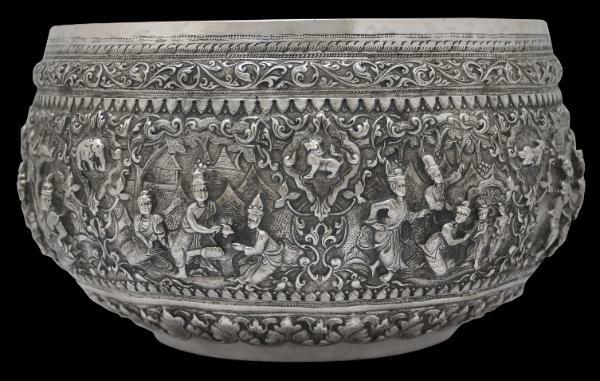 The story seems elaborate and busy – like the bowl itself. 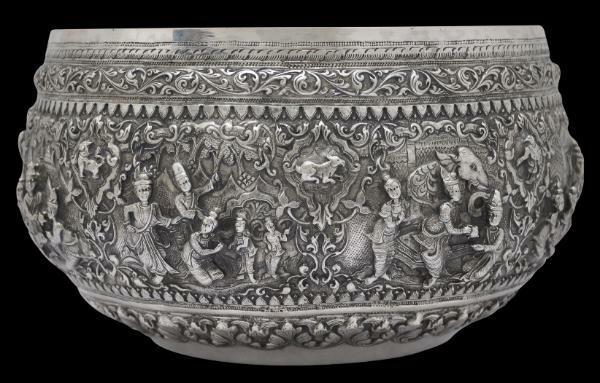 The design is noticeably ‘curly’ with scrolling, lace-like foliage seemingly draped everywhere. 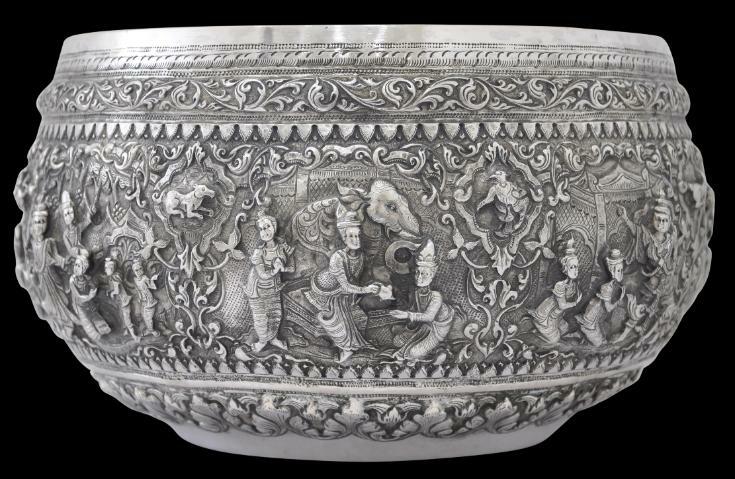 The scenes include numerous figures in courtly Burmese dress as well as an elephant and horses. dha-zin-gwei motif. The lower border comprises a wide band of spiky acanthus leaf motifs. 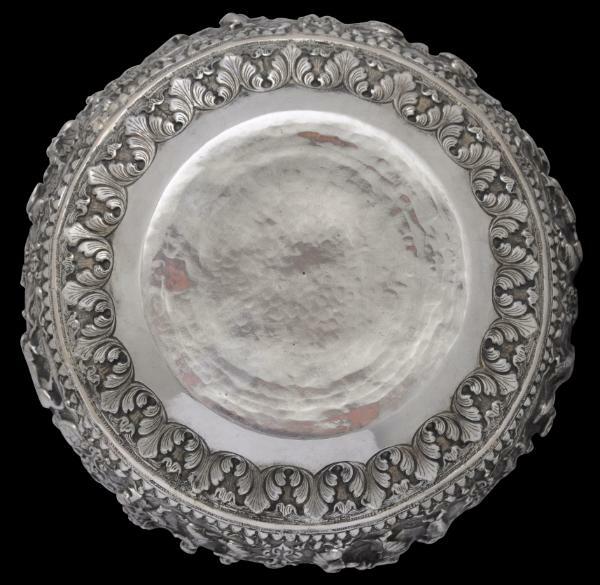 The base is hammered but plain. 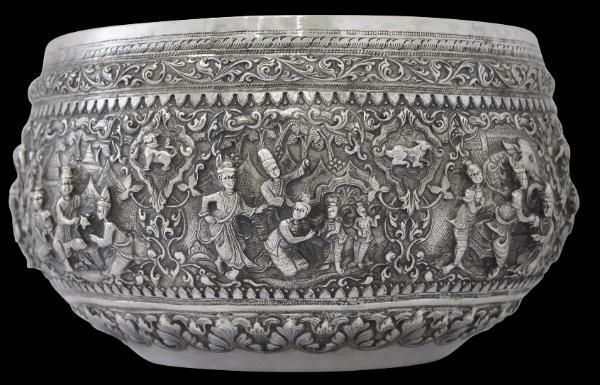 The bowl is in fine condition with little wear from excessive polishing. 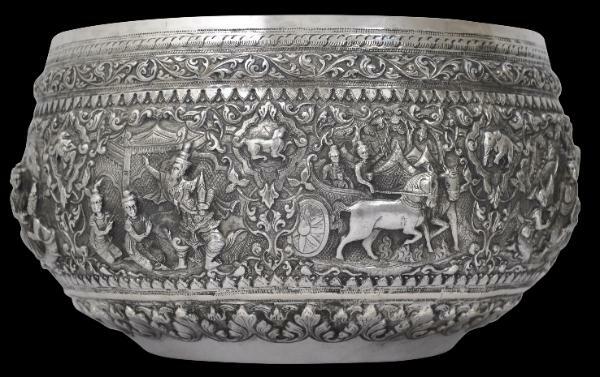 Unusually for a bowl of this type, there are no holes in the repousse work. 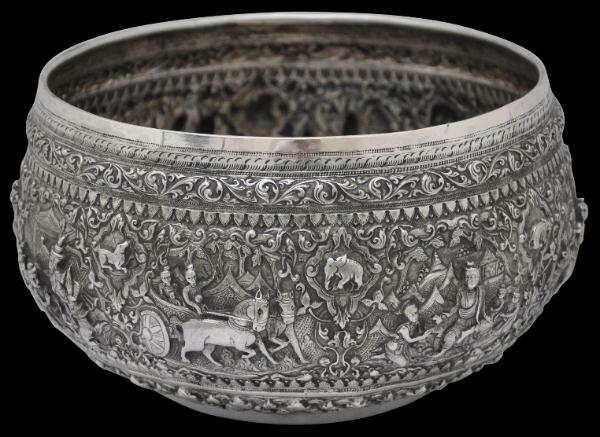 The Silverwork of Burma (with Photographs by P. Klier), The Superintendent, Government Printing, 1902.